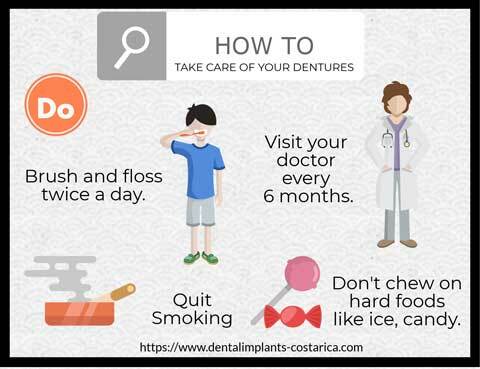 Whether you want to replace missing teeth, get rid of ill-fitting dentures, or spruce up your smile, getting dental implants and overdentures in Costa Rica could be a safe and affordable option.With its world-renowned dental facilities and highly trained dentists, Costa Rica has become a chosen destination for implants and overdentures. This shortage of dentists and the high number of people struggling with oral hygiene drives people to seek dental care outside the US. As people seek remedies for their dental conditions, the low cost of dental work in Costa Rica makes it one of the leading dental tourism destinations in the region. Did you know? The literacy rate of Costa Rica is one of the highest among all Latin American countries; for youth between the ages of 15 and 24, the literacy rate is 98%3. This ensures the presence of well-read and trained medical practitioners. Why Costa Rica for Implants and Overdentures? The Council for International Promotion of Costa Rica Medicine (PROMED) states that in 2015, the country welcomed about 50,000 medical and dental tourists and the numbers are expected to double by 2020.4 Furthermore, PROMED found that a huge majority of these dental tourists are from the United States. 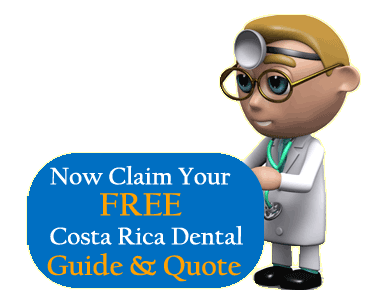 Affordable dental work: The cost of dental work in Costa Rica is a fraction of the prices in the U.S.
Topnotch dental facilities: Dental work in Costa Rica is comparable to institutions in developed nations. Adhering to international standards, dentists in Costa Rica use state-of-the-art technology and high-quality dental equipment. 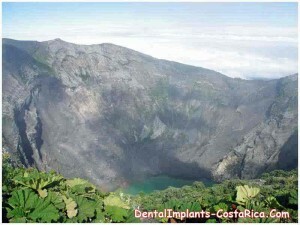 World class dentists: Affordable dental work in Costa Rica is available without compromising the treatment quality. Costa Rica has many well trained dentists and dental surgeons, who are members of prestigious organizations such as the American Dental Association, among others. Wide Range of Dental Procedures: Accredited dental clinics offer various services such as dental crowns, low cost dental implants and over-dentures, veneers as well as more complex procedures, such as full-mouth restoration. Low Travel Costs: Proximity to the U.S. further cuts costs, adding to the attraction of getting pricey procedures such as over-dentures at a low cost. A flight from Miami to San Jose takes just about 3 hours. Mesmerizing Travel Destination: With its stunning biodiversity and warm hospitality, there is an added advantage for undergoing dental work here. The country offers beautiful scenic options to soothe pre-procedural jitters and aid post-procedural recovery. Overdentures are replacement teeth held in place by dental implants. They were developed to help patients with partial or full tooth loss and are widely used to help dental patients reclaim their quality of life. These are also commonly referred to as implant-support dentures. Implant-retained, gum supported – In this method, the over-denture is placed directly on the gums and is retained through implants placed on the patient’s upper or lower jaw. 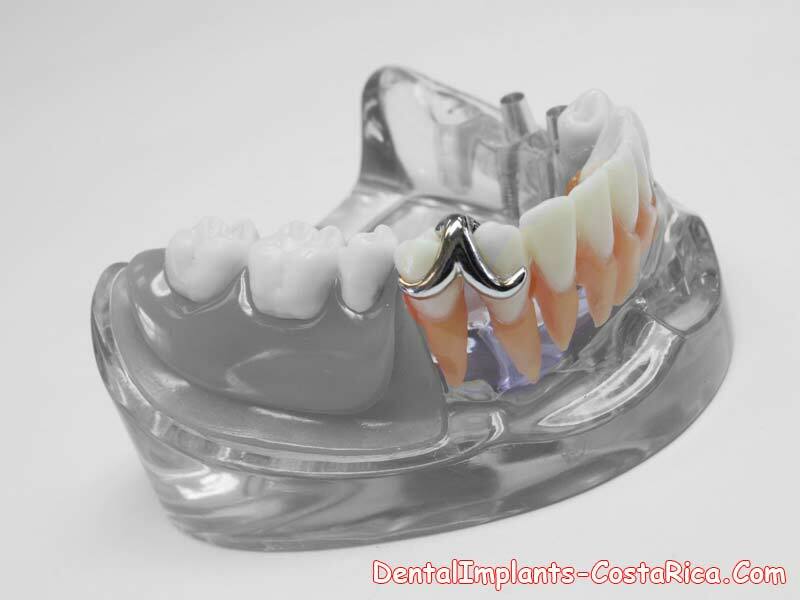 The overdenture, which is removable, is secured to the implants through attachments fixed into the denture. Bar-retained, implant supported – With this treatment, the overdenture is connected to attachments on a metal bar that is in turn connected to implants surgically placed into your upper and/or lower jaw. The removable overdenture is safeguarded to the bar through attachments provided in the denture. Fixed, implant supported – As the name suggests, in this treatment the overdenture is directly and permanently connected to implants placed in the patient’s upper or lower jaw. 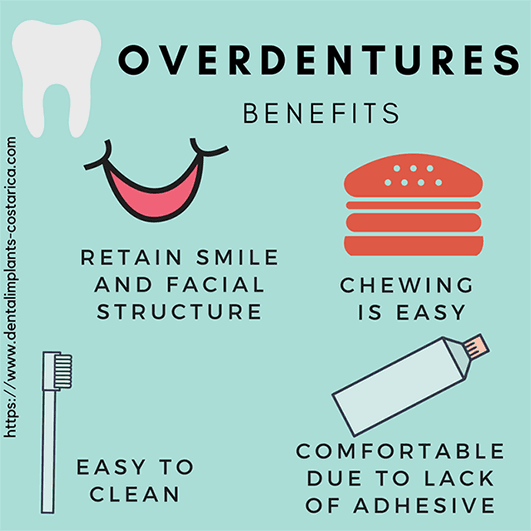 The overdenture is only removable by a dentist. This option gives the closest resemblance to natural teeth and gums. Did you know? Today, well over 95% of the dental implants placed are titanium alloys. The success rate of these implants is about 98% after 10 years5. For more information and FREE Pricing, contact us now! Better Digestion: Overdentures use dental implants, which makes them more stable than adhesives used for conventional dentures. This stability in turn makes chewing easier and allows you to break down food more efficiently, hence improving digestion. Retention of Facial Features: The natural process of shrinkage that occurs when you have an unhealthy or under-stimulated jaw as a result of missing teeth can make your face look “sunken-in” and prematurely aged. This is avoided with the use of implant-supported dentures. 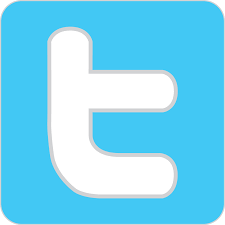 Comfort: The stability offered by overdentures over adhesives prevents unnecessary movement during chewing and talking. This reduces the instances of sores and dislodgement. Did you know? Dental implants developed through an accidental discovery back in 1952. Branemark, a Swedish doctor, discovered that when titanium was positioned in contact with bone and left untouched, the bone developed against the surface and fused with the metal, making it irremovable. This eventually developed into today’s fixed implants. Brush Them Daily: This will remove food and dental plaque, preventing them from becoming stained. 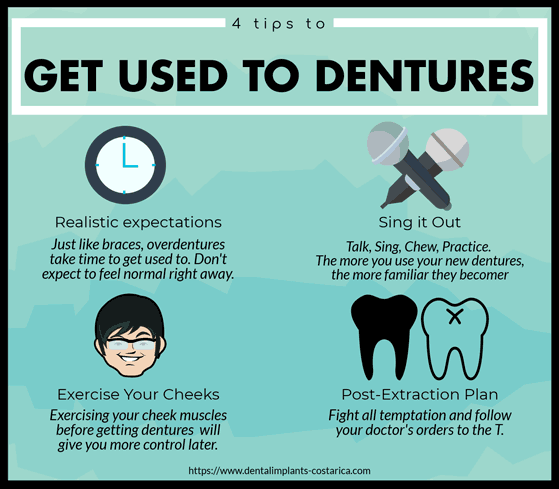 Take Care of Your Mouth: Brushing your gums, tongue, and palate every morning stimulates circulation in the tissues and helps keep the mouth clean, which in turn increases the life of overdentures. Don’t Let There be Dryness: And don’t use hot water as it can cause overdentures to warp. Consult Your Dentist: See your dentist in any case of breaking, chipping, cracking, or looseness. Don’t be tempted to adjust them yourself. Our prices for dental implants begin from $650. The average cost of a full dental implant in the United States ranged between $1,500-6,000. 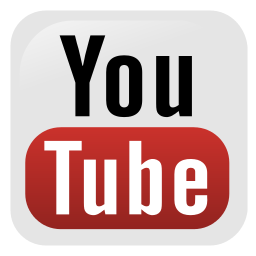 Hear from our happy clients as they discuss the huge cost difference between dental work in the USA and Costa Rica. Passport-carrying Americans and Canadians are allowed a 90-day stay in Costa Rica without a visa. So tourists must carry a passport that is valid for at least three months at all times during their stay. Travelers are officially required to have a ticket out of Costa Rica before they enter but the rule in not implemented uniformly. We provide complete travel assistance to make the journey smoother. Before traveling to Costa Rica for procedures like low cost dental implants and overdentures, do extensive research and choose an accredited dental clinic. While traveling in Costa Rica, use common sense precautions for your safety. Don’t wear expensive jewelry or watches, leave your valuables in the hotel safe and be aware of your surroundings. Most tourist establishments accept U.S. dollars. Do not carry, try or keep illegal drugs. 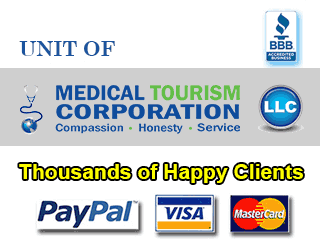 Travelers seeking dental work in Costa Rica have a plethora of choices to keep them occupied. Tourists can explore dense forests, get close to a ‘resting’ volcano, dip into a refreshing waterfall or relax on a pristine beach. Soaring volcanoes like the Arenal Volcano, Northern Lowlands and the Rincon de la Vieja, Guana Caste are ideal for sightseeingand adventure sports like waterfall rappelling. Rainforest destinations like Drake Bay, South Pacific and Manuel Antonio,Central Pacific offer a rich biodiversity of plants and animals. The cool, misty cloud forests of Monteverde and La Paz Waterfall gardens are a haven for eco-tourism. Vibrant cities like San Jose, Jaco, and Liberia encapsulate the bustle and culture of metropolitan centers in charming small-town settings. Dental tourists who seek affordable dental implants and over-dentures in Costa Rica can expect a recuperative holiday that will allow them to return home all smiles. 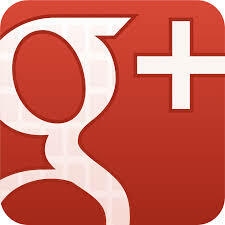 Contact us now for FREE Pricing on implants and over-dentures in Costa Rica. Number of Practicing Dentists per Capita in the United States Will Grow Steadily (Health Policy Institute Research Brief). Source: Source: Health, United States, 2016, table 78.